Driven by the passion of calling, Dazzling believes everyone is a great idea conceived for such a time as this. Every assignment is significant and hers is to ensure your success regardless of her role, whether as an inspirational entertainer, emcee and singer for your event or as a transformational speaker, trainer and coach for your career. Despite having being schooled by the vicissitudes of life, Dazzling responds with humour, grace and resilience. This is evident in the way Dazzling presents at an event; there is a quiet sense of strength despite her gregarious nature at work. Versatile, she knows just the exact level of energy to create during an awards ceremony or private coaching session to galvanise those present to reach for the stars. 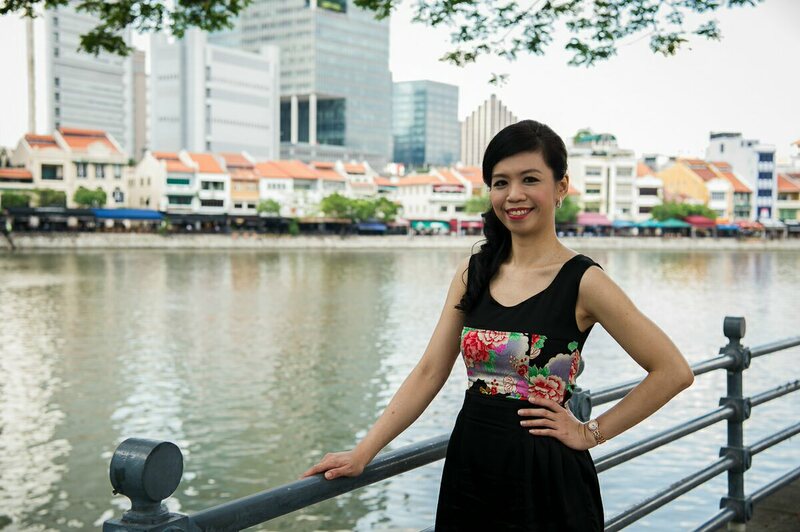 Dazzling Chong was trained in English Language and Sociology, graduating from NUS with a BSC (Merit). Her personality profile as an Inspirer led her on a journey of self-discovery so she could harness her strengths effectively for her calling. Despite her humble origins, Dazzling believes wholeheartedly that where you are right now does not define the limits of where you could be. In other words, you can choose to fulfil your Destiny by not losing sight of your vision and knowing your Purpose in life. Described as having a “caring charisma”, Dazzling is a firm advocate of investing her life, time, resources and energy in her calling to make a difference and walk the talk. As a result, she has chosen to be an independent practitioner so as to design her own programmes and solutions based on the authentic PPDD © Leadership Coaching Model . Dazzling did not arrive at this coaching model overnight though. She took a leap of faith in leaving full-time employment ten years ago to gather enough entrepreneurial experiences to make an transformational impact. By adhering to her personality and calling, she has markedly differentiated herself with her own unique training and coaching framework. In addition, she is also blessed with vocals that she uses selectively for positive entertainment and add unique flavour to her speaking style and delivery which resonates with her participants and audiences. To date, she has spoken to more than 70, 000 students on self-image, stress management, relationships, career guidance and entrepreneurship, as well as, hosted-sang at corporate events, such as, awards ceremonies and D&D for thousands of corporate staff members, including CEOs, ministers and foreign dignitaries. Possessing an innate flair for communication and intuitive understanding of the human condition, Dazzling is able to to engage the man on the street, as well as, CEOs who identify her as a bright spark. As a certified MBTI ® trainer and coach, she understands the importance of harnessing personality strengths and working with different types of people for better Teamwork and Leadership Development. More insights gleaned from her journey and case studies for personal and corporate success will be shared in her upcoming book “Breaking The Code of You: The Simple Truth Behind Who You Are & The Power of Evolution” of which a sample can be read here. With the mission of influencing individuals, organisations and nations towards greatness, her vision is to see lives impacted and Corporate Destinies transformed – moving them from a place of stagnancy to Purposeful Power and Leaving An A* Legacy. Schedule a free consultation with Dazzling, your #1 Inspirational Entertainer for your corporate or wedding event. Get a customised Dazzling Show for your banquet. Schedule a free consultation with Dazzling, your #1 Inspirational Coach for charting your career path. Get a customised Success Plan for your personality. To find out more about Dazzling’s backstory and experiences, click here.